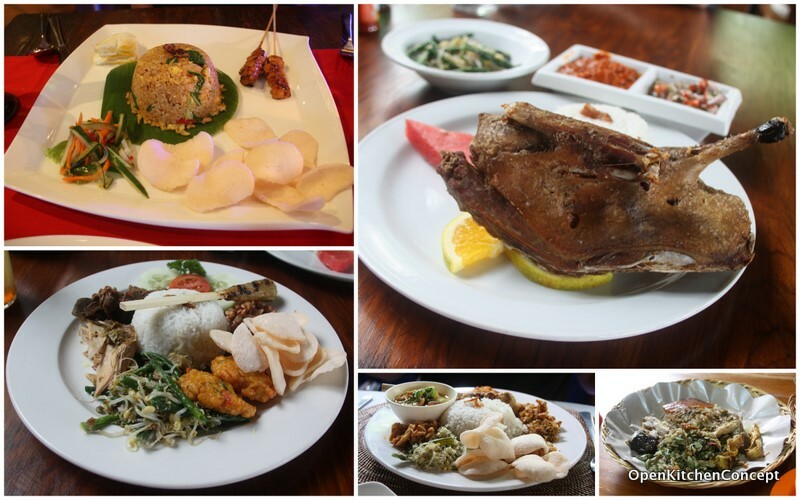 I was looking forward to eating lots of Indonesian food everyday when I was in Bali, since I love Indonesian food. Balinese food seems a little different from the Indonesian food that we know in Singapore. Balinese food seem to use a lot more fresh coconut meat and herbs, which I thought made it very distinct and different from the Indonesian food I know. Ubud is not exactly a cuisine paradise but there are a few famous places that everyone else seem to say you have to visit in Ubud. Top on the list is Ibu Oka. Some say it's a must eat when you visit Ubud. Others hike across the island to visit this place. I could be prejudiced since I don't like pork anyway. But The Husband appreciates this meat and he thinks that the Chinese version of roasted suckling pig with the crackling on the skin is way better. But to be fair, I think the roasted pork at Ibu Oka, with all the condiments on the side is very "Balinese" and is worth a try if you are in Ubud. Another famous restaurant in Ubud is Bebek Bengil , aka the Dirty Duck Diner. This is a beautiful and massive restaurant with a padi field right behind the restaurant. I thought the Bebek Bengil Crispy Duck was nice and crispy. It was a little on the dry side though and I think whilst the taste of the coconut oil makes it rather special, it isn't something that I really like in a crispy duck. But I did really like the chilli and onion condiments that came with the duck. An Indonesian friend tells me the barbeque pork ribs are also excellent, though we didn't order that. 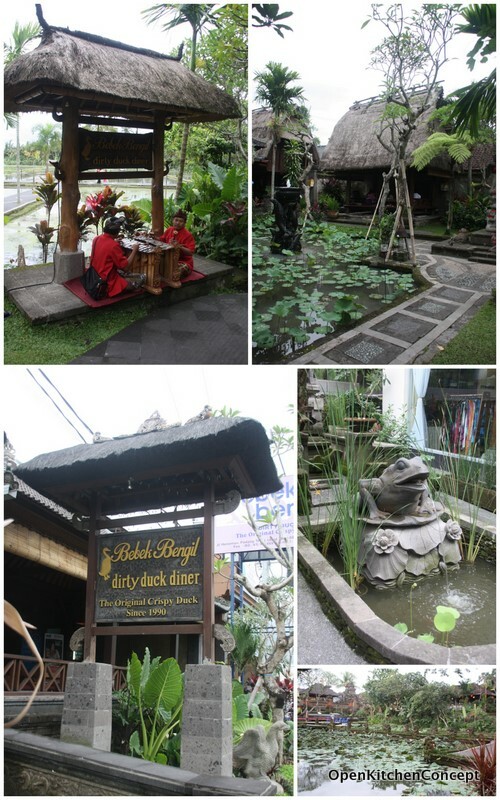 We also tried a few other restaurants in Ubud - they were mostly pretty decent although not extremely memorable or special.